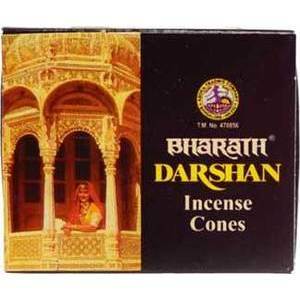 A 10 pack of Darshan ritual incense cones by Bharath. Provides a gentle fragrance that freshens the mind and surrounding atmosphere. Comes with a burner plate.